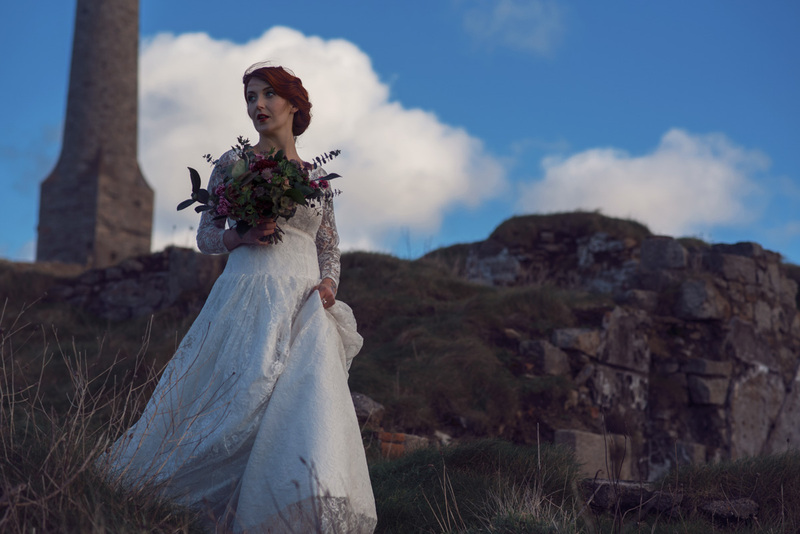 Cornish Coastal wedding meets Poldark. 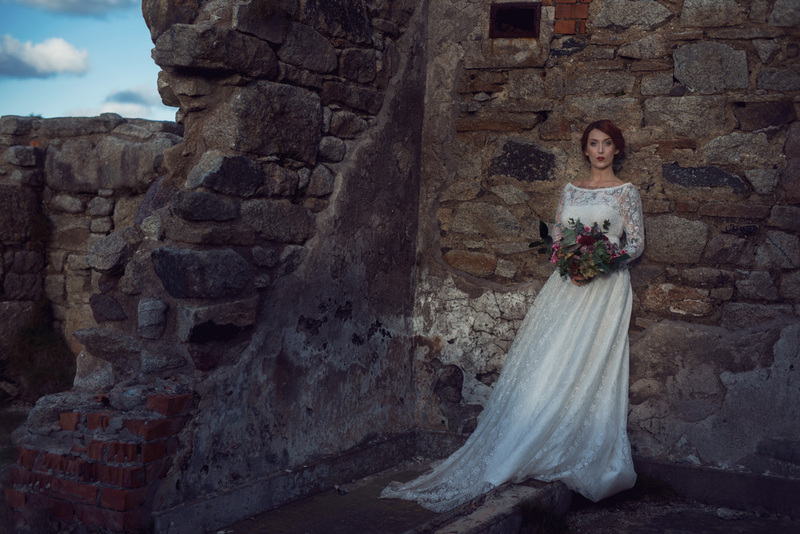 I recently had the utmost pleasure of a shooting this Cornish coastal wedding editorial at Geevor Mine. 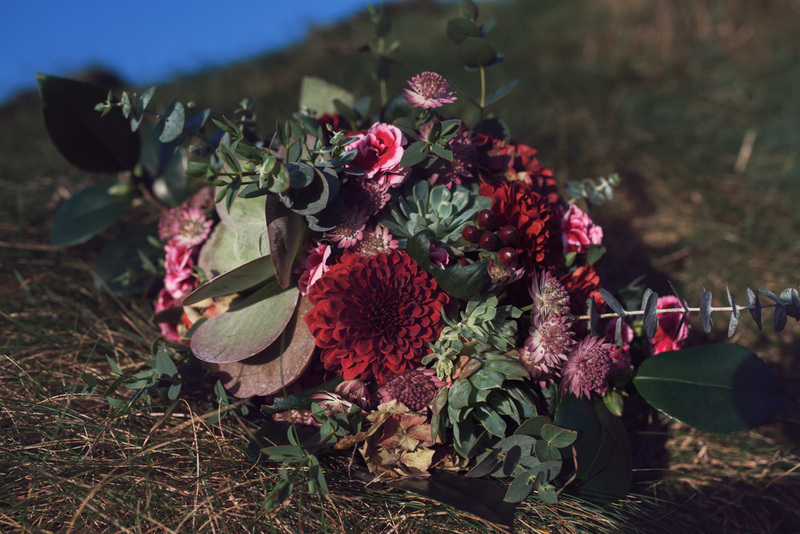 Set on the atmospheric Cornish coast near Sennen and St Just surrounded by amazing local wildlife, the mine stands in all its glory next to an ancient monument. 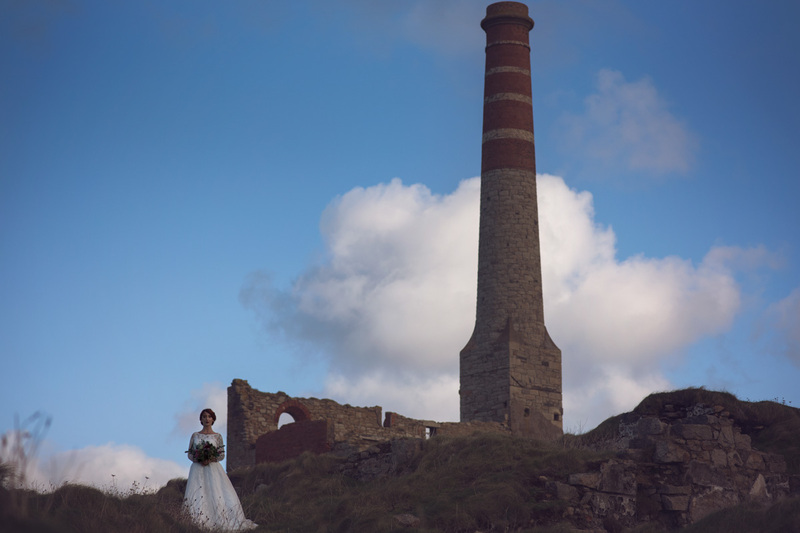 The location shows the change and evolution of how Cornwall has grown through the industrial era. 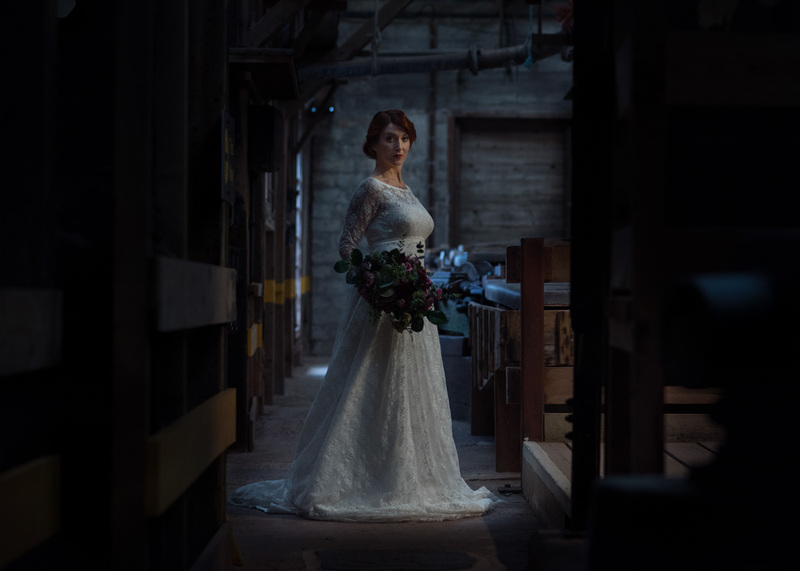 This shoot gave us the chance to let our creative juices flow and create a visually stunning body of work. 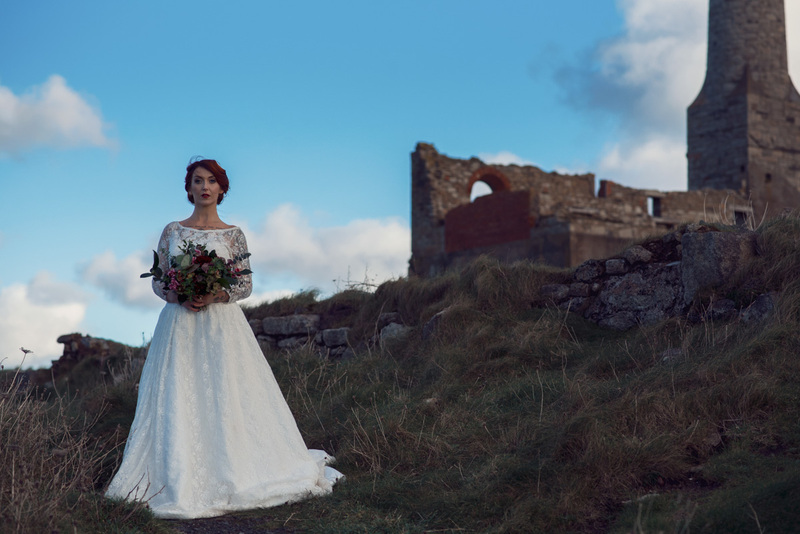 The aim was to use all backdrops including the crumbled ruins, the eerie beautiful workhouse and the famous Cornish seascapes that draw thousands of couples to elope every year. 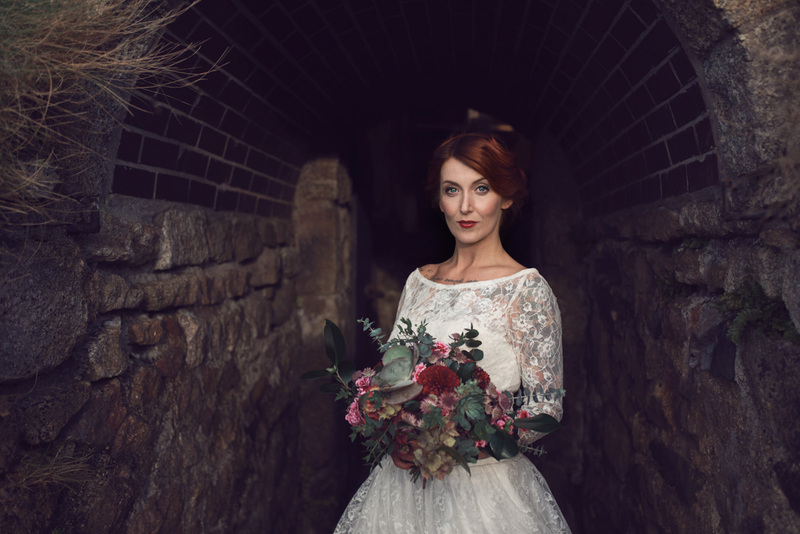 We had the an absolutely amazing team of Cornish wedding creatives on hand. 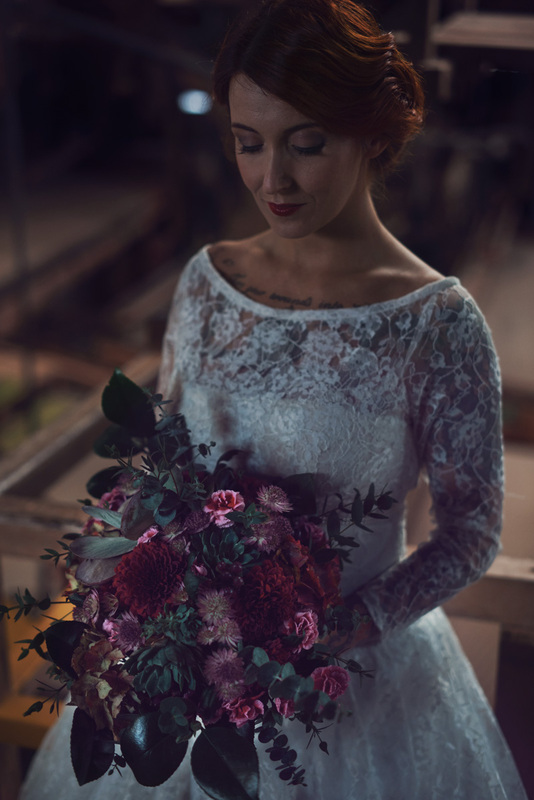 From Twigs & Greens who supplied the most beautiful bouquet of flowers with rich dark pinks and res. 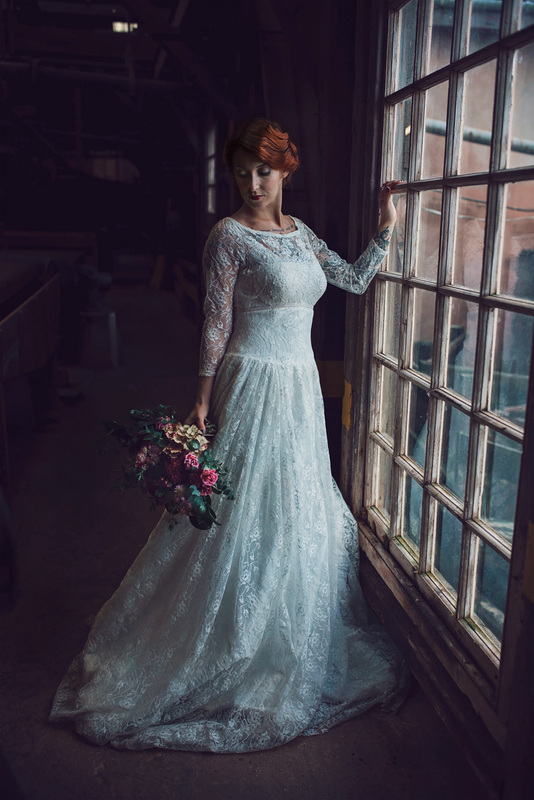 Andrea of the award winning Simply Bridal Hair styled the hair with a traditional relaxed finger wave. 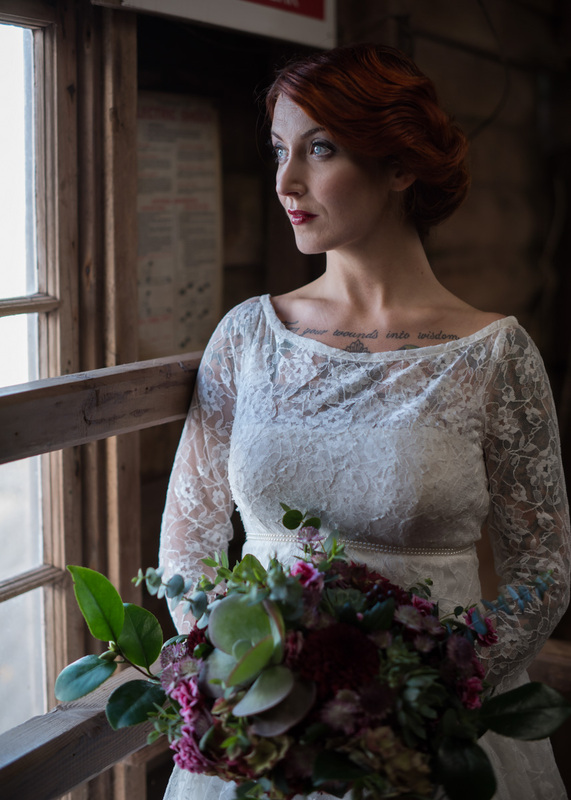 Kerra Griffith hair and make-up created a soft vintage look for the eyes and bold red lipstick to create a dramatic look. 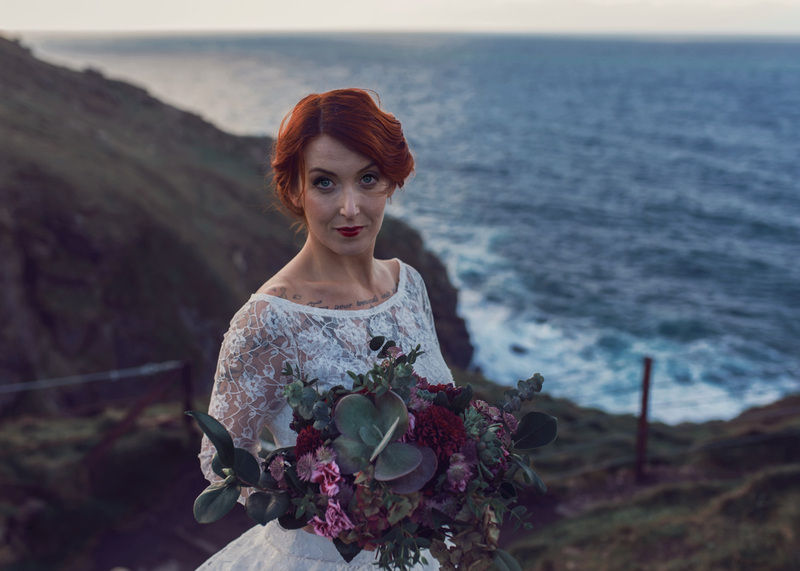 For more of my stunning wedding photography in Cornwall click here.